Ghanalinx Media Group and affiliates recently hosted NAFTA award winning actor Majid Michel at a red carpet premiere of the award-winning movie, ‘Somewhere In Africa’ in Toronto, Canada. Special guests at the premiere included Fred Nuamah (Founder of Ghana Movie Awards) and Kwame Boadu (Producer of “Somewhere in Africa”). 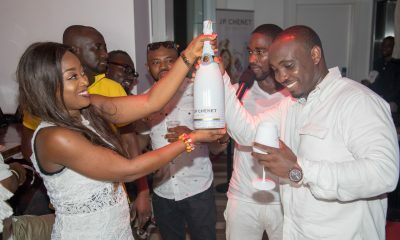 The premiere took place at the Price Family Cinema inside York University, with an exciting afterparty at Coconut Lounge, which saw Majid Michel dancing the ubiquitous azonto dance! You have brought up a very great details , thankyou for the post. “For visions come not to polluted eyes.” by Mary Howitt. Good sunlight hours. Self-same cool site!! Guy .. Admirable .. Superb .. I will bookmark your blog and obtain the feeds additionally…I’m joyful to locate a lot of beneficial info right at this juncture in the article. Express gratitude you for sharing..